Step into this 3 bed/3.5 bath plus office gorgeous custom residential home surrounded by a tranquil, quiet setting that will make you never want to leave. The tropical landscaped entry gardens with lovely water features set the tone for the serene setting of this well-appointed home. Upon entering, you will be impressed with the home’s 4,200 sq. ft. open floor plan designed for exceptional indoor-outdoor living with exquisite custom finishes throughout. 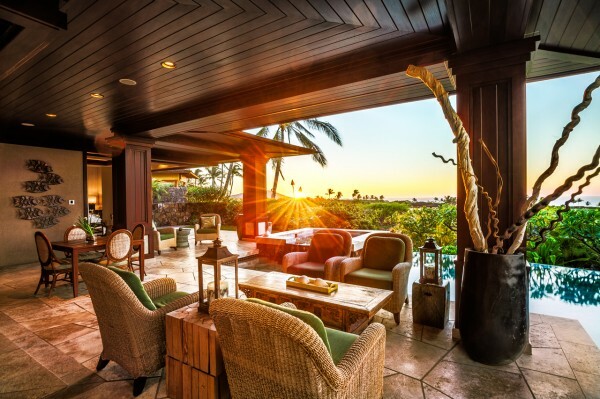 One thing that is important to mention is that the house is strategically positioned on its 0.54-acre lot to maximize its views, yet placed at an angle to maximize the sunset views from the interior living space. 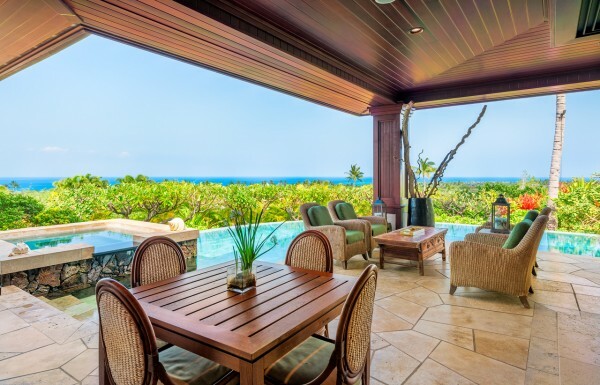 Large corner pocket sliding doors extend the great room onto the expansive lanai and cohesively merges the gourmet kitchen and dining room into one incredible living space. 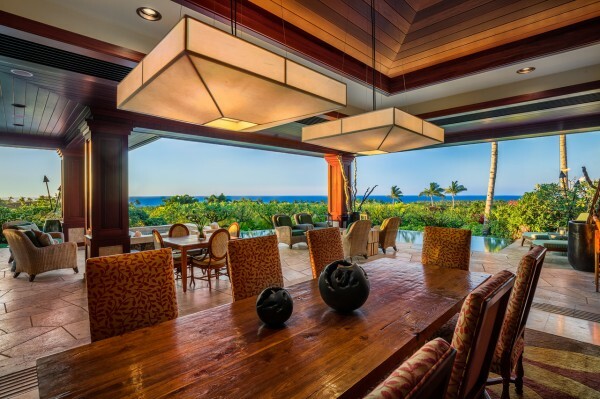 The property’s location and open floor plan creates a multi-sensory ambiance that blends the indoors with its beautiful Hawaiian setting. Balmy trade wind cross breezes, the sounds of swaying palm trees, and crashing winter swells mixed with high contrasting views of green tropical landscapes, dark lava flows, and brilliant shades of blues from the ocean is something you just have to experience. 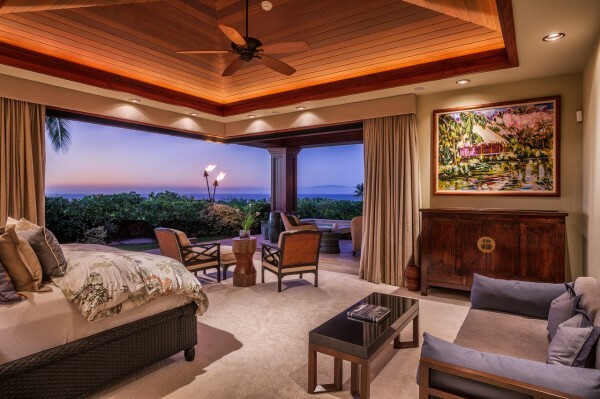 Enjoy this incredible setting from either the living area or the master suite. Adjacent to the living area, you will find a beautiful home office and spacious guest suite that may comfortably accommodate two to four guests if needed. For those guests that need more privacy, the second guest suite is located outside in the entry courtyard. 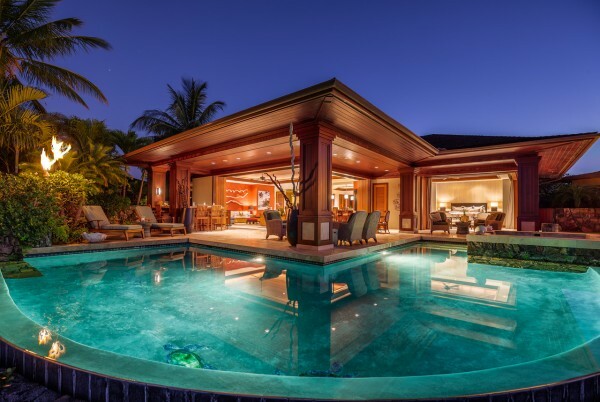 Other desirable features of this home include: the extensive 45 panel net metering photovoltaic system for energy efficiency, well planned low maintenance landscaping for maximum privacy, and easy access to Kukio’s club facilities and Kua Bay. Kukio is known as an exceptional oceanfront private residential club community with member’s only Golf and Beach Club, two Tom Fazio golf courses, outstanding outdoor pursuits, fitness amenities and spa services, sports complex, 24-hour security, and private dining. Kukio will exceed expectations. 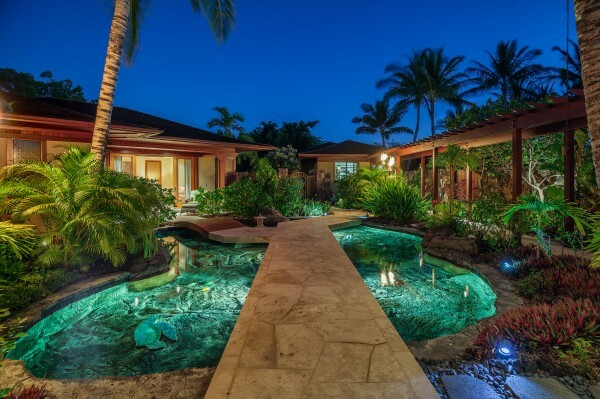 For more information about this property or others that are available at Kukio, please contact Carrie Nicholson, R(B), Director of HL1.